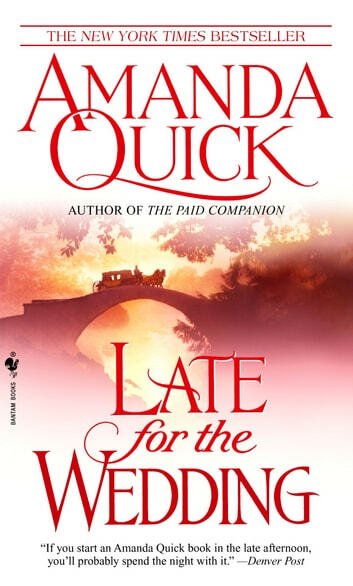 New York Times bestselling author Amanda Quick returns with a thrilling new venture into romance and mystery, featuring the most unusual, highly compatible--undeniably combustible--pairing of Tobias March and his mesmerizing partner, Lavinia Lake. It seems Aspasia is seeking protection--and solace--after receiving an ominous message that eerily recalls the past. 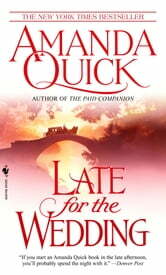 Suddenly the obstacles standing betweenTobias and Lavinia appear greater than just a little London gossip--and far more deadly.When events at the castle suggest someone is imitating the dead killer’s methods, the team of Lake and March fervently pursue the investigation--and each other--as their leads take them from Society’s most elegant haunts--and most discreet hideaways--to London’s shadiest backstreets. As their relationship heats up, so does the intrigue. Soon Lavinia will have to employ all her talents to flummox the scoundrel who so rudely interrupted her rendezvous. And then she and Tobias can get back to more pleasurable affairs.